The following is a guest article by author and renowned personal trainer Cathy Morenzie. Enjoy Cathy Morenzie’s breakout title, ‘Healthy by Design: Weight Loss, God’s Way‘. Imagine if you were able to maintain the laser focus you had from Day 1 of your weight loss program to day 100, day 200 or even day 300. This tip will save you time, money and most of all help you maintain the health and fitness results you’re looking for. It will require a shift in the way you approach your health but once you change your approach, it will make all the difference. Stop ‘trying’ to manage your weight! Stop ‘trying’ to manage your fitness program! Stop ‘trying’ to manage your food by following diets. Focus on managing your energy levels and everything else will naturally fall into place. Imagine if you were able to maintain your energy levels throughout the day; if you felt so energized that you looked forward to exercising; if you did not crave coffee or fast-foods. Imagine if you were able to maintain laser-focus to accomplish everything on your to-do lists; if you did not get the 2:00 pm slumps; if you did not experience as many highs and lows throughout the day. When you have the energy, you won’t crave as much junk food; won’t miss as many workouts and will sleep better. All this leads to more motivation and higher health, healthier weight and fitness levels. High energy levels mean high productivity! So, just how do you keep your energy levels high? Start your day in prayer by asking God to order your day so you don’t wear yourself out doing too many unnecessary tasks. Balance your meals throughout the day — skipping breakfast, going too long without food or late night snacking will wreak havoc on your metabolism and leave you feeling sluggish. Include high, medium and low intensity workouts throughout the week. Varying your exercise routine intensity will help you stay motivated and keep your workouts fun. Include a balance of weight training, cardiovascular and flexibility exercises in your workout. You will get the best results if you work all of your body systems instead of just focusing on cardiovascular exercises. These results will help to keep you motivated. Include a good serving of protein at each meal. Protein taken at meals will help to balance your insulin levels and prevent energy dips throughout the day. Enlist the help of a great accountability partner. They will you will motivate you, help build your integrity, give you a different perspective that you may be unable to see on your own, and create a hedge of protection around you. Increase consumption of fiber, an excellent internal cleanser — at least 25g of fibre per day to help maintain a healthy digestive system. Drink at least 8 cups of water per day. Submit your weight loss program to God. You probably realize by now that ‘trying’ to lose weight on your own is futile. The journey is a lot more motivating and sustainable when you understand that you don’t need to do it all on your own. Ladies, monitor your hormone level- supplement when you need to and check your iron, vitamin D levels and thyroid. When they’re out of whack, they can rob you of your energy and leave you feeling unmotivated. There are so many factors that affect your motivation. Understand that there will be a lot of highs and lows on your journey but you can minimize them by trying these strategies to keep your energy high and therefore your motivation levels high. Cathy Morenzie was born in Trinidad and raised in Toronto, Ontario, Canada. She attended McMaster University where she developed a passion for understanding the physical, physiological, psychological and spiritual aspects of weight loss. Nearly thirty years later, Cathy is now a sought after personal trainer, author, blogger and presenter and has been a leader in the faith/fitness industry since 2008. Her impact has influenced thousands of people over the years to help them lose weight and develop positive attitudes about their bodies and about fitness. She is happily married with one son and two step-children. 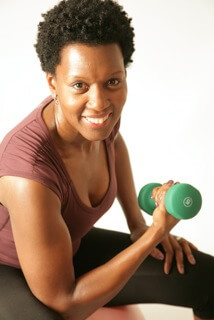 Sign up for her free fitness tips at www.cathymorenzie.com.